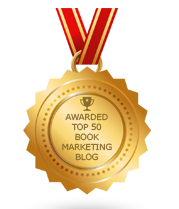 BookMarketingBuzzBlog: Are Books Good Or Bad? What does reading books potentially do for us? · Exposes us to new ideas and concepts. · Informs us of facts or history. · Inspires or enlightens us. · Helps us see ourselves or the world differently. · Makes us feel aligned with a bigger truth. · Educates us to become better people. What could books do that is harmful? · Gives us an outlet to explore bad ideas and morals. · Encourages us to take a negative action. · Makes us feel lousy about the world or ourselves. · Presents an opposing viewpoint that saddens or angers us. · Provides materials of hate, prejudice, violence or illegal activities. Books can do so many things to so many people depending on how many books one reads – and what genres, publishers, and quality of books are in play. I would take an educated book reader to be a wonderful person but I know that there are millions of such people who are evil, amoral, and dangerous. Books alone, I guess, can’t cure the world.